Short biography of the Italian-American anarchist Carlo Tresca, written by Nunzio Pernicone. For three decades Tresca was a free-lance revolutionary paladin among Italian radicals in the United States. His political views had taken shape in his native Abruzzi, where he embraced socialism with the fiery militancy that characterized his entire career. As branch secretary of the Italian Railroad Workers Union & editor of the newspaper Il Germe (The Seed) at age twenty-two, Tresca was a thorn in the side of the local religious, political, & economic elite. Rather than serve a prison term stemming from his activities, Tresca immigrated to the United States in 1904. He settled in Philadelphia, where he assumed the editorship of Il Proletario (The Proletarian), the official organ of the Italian Socialist Federation, & he was instrumental in orienting the majority ISF current to syndicalism. Becoming increasingly anarchistic in his own views, Tresca resigned his editorship in 1906 & began publishing his own newspaper, La Plebe (The Plebs). Two years later he transferred La Plebe to Pittsburgh, where he brought revolutionary ideas to the struggles of Italian coal-mine & mill workers in western Pennsylvania. His opposition included the clergy, Italian consular officials, & mafiosi as well as the capitalist owners of mines & mills & their allies in the Pennsylvania government. His opposition retaliated with heavy fines, imprisonment, & an assassination attempt, but Tresca was not intimidated. Tresca entered the mainstream of American radicalism & labor in 1912, when the Industrial Workers of the World (IWW) invited him to Lawrence, Massachusetts, to help lead the Italian workers during the campaign to free strike leaders Joseph Ettor & Arturo Giovannitti, who had been falsely accused of murder. Tresca soon became known as the Bull of Lawrence & after the victory in Lawrence was active in the Little Falls, New York, textile workers' strike (1912), the New York hotel workers' strike (1913), the Paterson, New Jersey, silk workers' strike (1913), & the Mesabi Range, Minnesota, strike of miners (1916). While organizing in the Mesabi Range, Tresca narrowly escaped a lynching & was charged with murder. An agreement in which some IWWs pleaded guilty to government charges was negotiated between the Minnesota authorities & Elizabeth Gurley Flynn (Tresca's comrade & lover since 1912). Ettor was also involved in the arrangement by which Tresca was released. Big Bill Haywood, the official leader of the IWW, was enraged by the terms of the negotiations, which included some guilty pleas; & then association of Tresca, Ettor, & Flynn with the IWW quickly withered. In 1917, when the entire first-, second-, & third-tier leadership of the IWW was indicted by the federal government, Tresca again defied Haywood. With Ettor, Flynn, & a handful of others, he had had his case severed from the mass trial that would take place in Chicago, thereby escaping the long prison terms & huge fines that were to be the fate of those who followed Haywood's strategy. Tresca did not escape other persecution. Even after the federal charges against him were dropped, L'Avvenire (The Future), the newspaper Tresca had published in New York since 1913, was suppressed & its successor Il Martello (The Hammer) was repeatedly confiscated. "Prince Caetani was naturally called upon to make a speech. He made one bitterly denouncing the opponents of Fascismo among the American Italians, & arguing that "a certain Italian paper in New York ought to be suppressed." The assembled apostles of Human Liberty knew that he meant Il Martello, & applauded him heartily. That there was no law in the US forbidding a newspaper to criticize a foreign government did not trouble them; they had been through the late war, & knew what could be done. So did the Department of Justice, then still in command of the eminent Daugherty, & the Postoffice Department. Word was conveyed to Washington, & then back to NY. On July 21, 1923 the whole issue of Il Martello was held up in the mails. The anarchist Carlo Tresca demanded to know why. The Postoffice gave him no answer. He kept on denouncing the Fascisti." The Justice Department kept Tresca under constant surveillance throughout 1919 & 1920, hoping to gather evidence for a deportation. Tresca skillfully avoided running afoul of the law while always remaining a source of assistance for comrades less fortunate in this respect. During this period, Tresca became involved in the Sacco-Vanzetti case. He was responsible for bringing the controversial IWW lawyer Fred Moore into the case & helped generate considerable publicity & financial support for the doomed anarchists. By the time Sacco & Vanzetti were executed, Tresca had become preoccupied with the struggle against fascism. Tresca became the major figure among Italians in America who tried to thwart Mussolini's efforts to organize Italian immigrants into a support group devoted to his fascist principles. In Il Martello, Tresca excoriated Mussolini as the arch-traitor of the working class & he attacked the House of Savoy for its cowardly complicity in the fascist takeover. Tresca's antifascist activities were carefully monitored in Rome. Fearful that opposition from Italians in America would jeopardize his standing with the U.S. government & lending institutions, Mussolini was determined to silence the voices of his transatlantic opponents. In 1923 the Italian ambassador officially requested that the State Department suppress Il Martello as the source that was "spreading poison among all the Italian workers in this country." Federal authorities complied by prosecuting Tresca for sending "obscene matter" through the mails. The excuse for this was a two-line advertisement for a book on birth control. Convicted & sentenced to serve a year & a day — a felony charge that qualified him for deportation — Tresca spent four months in the Atlanta Federal Penitentiary in 1925 before public outcry over the transparent persecution forced President Calvin Coolidge to commute the sentence to time served. Failing to rid themselves of Tresca by legal means, the fascists resorted to violence. There was an unsuccessful attempt to kill him & other antifascists with a bomb during a rally in 1926. Faced with constant physical attacks, the antifascists responded with daggers & pistols as well as mass demonstrations & street fights. By the end of the decade, pro-Mussolini militants could only hold public demonstrations under police protection. While unable to undermine American business support for Il Duce's regime or prevent the takeover of Italian-American newspapers, radio stations, cultural institutions, & other important vehicles that influenced the Italian community, Tresca & the antifascists did succeed in derailing Mussolini's grandiose plan for the fascistization of Italian America. By the 1930s Tresca had added the Communists to his list of totalitarian foes. In contrast to anarchists like Malatesta, Goldman, Berkman, & Kropotkin, who had opposed the Bolsheviks early in the course of the revolutionary process, Tresca had given grudging support. He reasoned that a socialist state was preferable to a capitalist state. Throughout the 1920s Tresca regarded the Communists as useful allies in the fight against fascism, & he collaborated with them in such organizations as the Italian Antifascist Alliance of North America. When the Stalinists crushed the anarchist movement in Catalonia & Aragon during the Spanish Civil War, Tresca became an implacable foe of Stalinism. He subsequently served on the John Dewey Commission, which declared Trotsky "not guilty" of the charges presented at the Moscow Purge Trials. Once Tresca took such positions, the Communists conducted a campaign of character assassination aimed at destroying his influence in the antifascist movements. After Pearl Harbor, Tresca obstructed both the Communists & former fascists from infiltrating the Mazzini Society, the leading organization of Italian antifascists in the United States. He also kept them out of the Italian-American Victory Council, organized by the Office of War Information in 1942 to be an agency through which American policy toward postwar Italy might be influenced. The obstacle that Tresca presented was removed on the night of July 11, 1943, when an assassin shot him to death in a New York street. Many of Tresca's comrades believed that his murder had been ordered by Generoso Pope, the ex-fascist publisher of Il Progresso Italo-Americano, as Tresca had attacked him relentlessly throughout the 1930s & early 1940s. 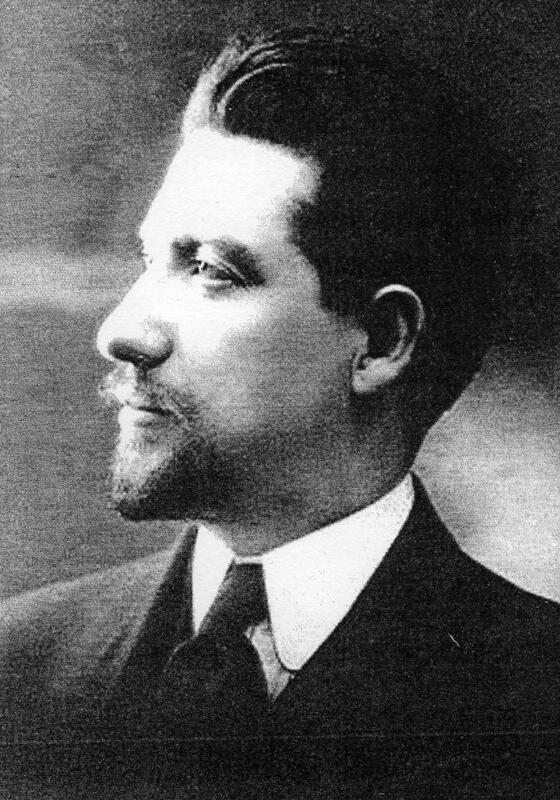 Another suspect was Vittirio Vidali, & agent of the Third International, whom Tresca had accused of murdering anarchist & Trotskyist leaders in Spain during the civil war. The most plausible theory, however, is the Tresca was killed at the order of an Italian underworld figure named Frank Garofalo, whose motives might have been more personal than political. Although the actual triggerman has been identified as a member of the Mafia, the Tresca murder remains officially unsolved. Nunzio Pernicone, Italian Anarchism: 1864-1892 (Princeton, 1993) & Carlo Tresca: Portrait of a Rebel (Palgrave Macmillan, 2005). Tresca Memorial Committee. Who Killed Carlo Tresca? Forewords by Arturo Giovannitti [and] John Dos Passos. NY: Tresca Memorial Committee, October, 1945. 28p. (Tresca, 1879-1943, "was the leading Italo-American anarcho-syndicalist in the US." He was murdered by contract killer Carmine Galante. But who held the contract — Mussolini? The Mob? The Comintern? These unanswered questions write a fitting finale to the biography of one of the most unusual figures of the 20th century American left. "I have sought with all my strength to elevate the moral and material conditions of the Italian workers here, and I have sought to instill in their souls the same faith in their emancipation that is alive in me. I am a soldier of the ideal." this article was the entry on Carlo Tresca, written by Nunzio Pernicone, in Encyclopedia of the American Left. Pernicone has also written a history entitled Italian Anarchism: 1864-1892 & a biography, Carlo Tresca: Portrait of a Rebel (reprint, AK Press, 2010). Where is Juliet Stuart Poyntz? This is absolutely brilliant. Thanks.